An authentic blend of black tea with water, milk and just a hint of sugar, all brewed to perfection. 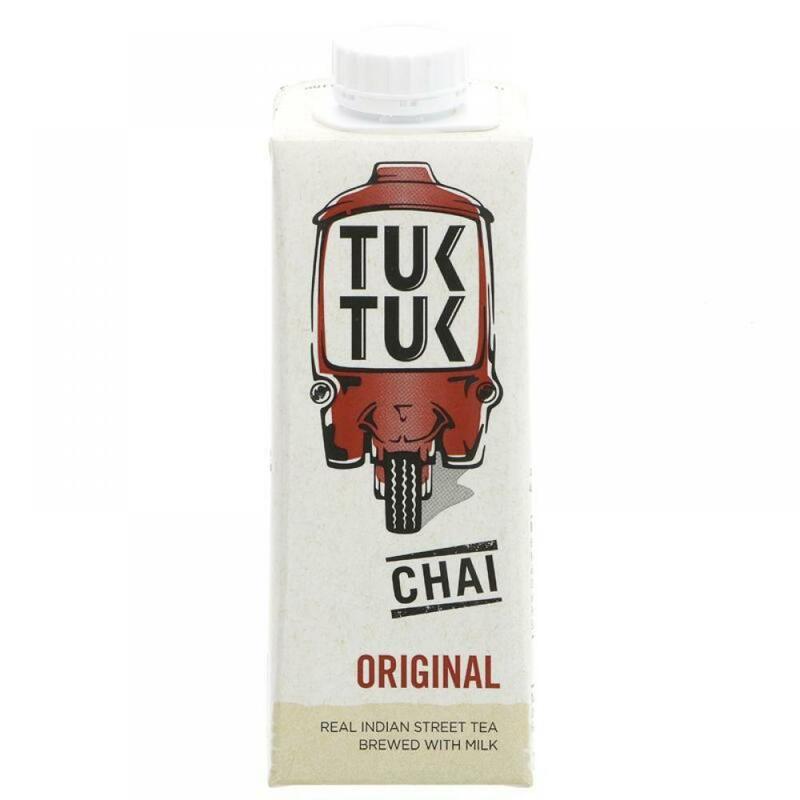 Enjoy your Tuk Tuk Chai anytime, anywhere, anyhow. Relish it cold for a smooth summer cooler, or savour it steaming hot for an aromatic adventure. To recreate an authentic street chai experience, serve hot in a short glass with a samosa, pakora or sweet fried banana. whole milk (62%) water sugar black tea (2.8%) acidity regulator (sodium citrate) stabiliser (carrageenan).